Sindragosa hard mode 25-man is down for Vanquish. Screenshot will be available once someone who didn’t somehow accidentally rebind screenshot to Page Down sends me a screen shot. Vanquish is now 10/12 hard mode ICC25 – one more boss to kill before the nightmare fun part begins. . .
More like Tree Slapped, really. Lady Deathwhisper 25-man hard mode is dead. However, I fail at taking screenshots. Blame it on the heart attack I was suffering a few minutes earlier. 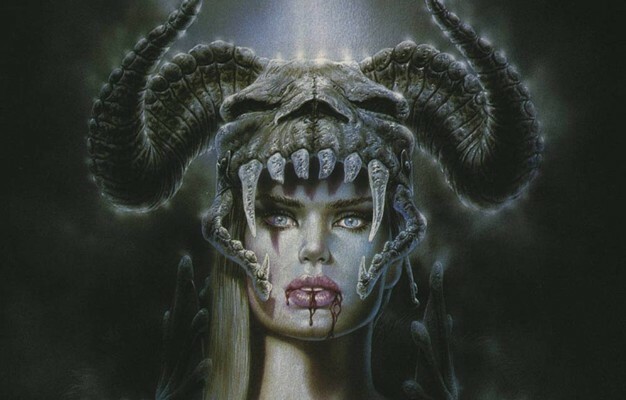 So, failing to have a decent screenshot, I present some awesome art by Luis Royo. 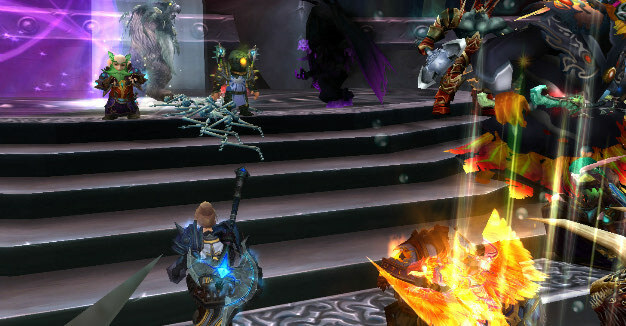 Recruitment is effectively closed for most classes right now; Warlocks are the only class that’s still open. However, exceptional players of any class and spec (other than Restoration Druids) are of course encouraged to apply. Normally, 10-man achievements don’t make the front page, but sometimes we make exceptions. Last night, a Vanquish 10-man group completed a server first Glory of the Icecrown Raider and received appropriate compensation for the feat. As well, we’re still recruiting for 25-man raiding. We’re specifically looking for Hunters, Holy/Discipline Priests, and Warlocks at the moment, at least one of each. It’s like something out of a Dream… one with lots of Blood. Blood Queen Lana’thel has been defeated, Valithiria Dreamwalker has been rescued. Vanquish moves to eight of twelve hard modes defeated. On that note, we’re looking to recruit another Priest (Holy/Discipline), Paladin (Protection, a Holy offset would be great but isn’t necessary) and another Warlock. If you’re not one of those three classes and you’re a good player, feel free to apply anyways. Blood: It’s in them to take. The hard mode 25-man Blood Prince Council is down. I cannot think of anything more clever to say at this time, nor can I find a reasonably amusing picture to attach to the post. Being Canadian, I apologize. Update: hard mode 25-man Festergut is down too. 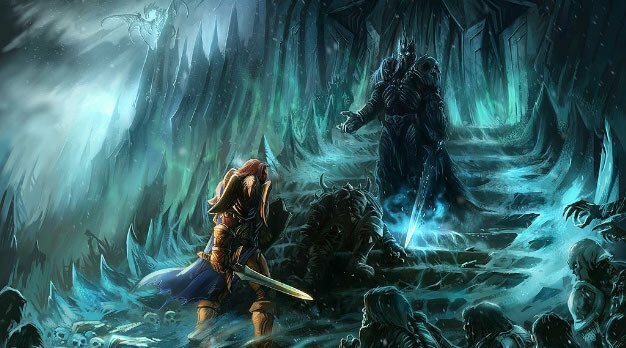 Our first week of Icecrown Citadel hard modes has resulted in six of the twelve hard mode bosses being downed. Thank you, healers! You made this possible. Deathbringer Saurfang down, and since we wanted free hard mode loot we went and killed Rotface as well. We’re now 4/12 Heroic ICC, with a few raiding nights left to go this week.